LANDSCAPE 2018 was a huge success and we hope everyone enjoyed it as much as we did! We welcomed over 50 brand new companies to the exhibitor line-up which ensured there were plenty of new products to discover from an exciting range of companies. Visitors to Battersea Park also enjoyed several industry leading seminar sessions, which were extremely well attended and well received. Our seminar programme delivered 44 exceptional sessions across the two days. These sessions were led by high calibre speakers such as: Kate Gould, John Wyer, Arit Anderson and Andrew Fisher Tomlin to name just a few. Our seminars educated our visitors in topics such as; Innovative Materials for Landscape Projects, Planting Design and New Technologies. 18% visitor increase compared with LANDSCAPE 2017. 34% of attendees were first time visitors. 90% of visitors heavily influence or are the decision makers. 86% of our visitors are very likely to recommend and use an exhibitor for a future project. 43% of our visitors are Garden Designers. 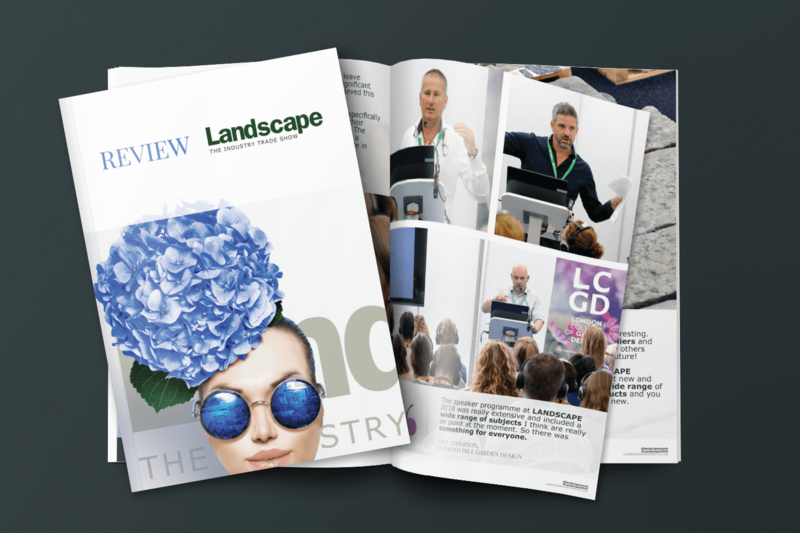 For the full LANDSCAPE 2018 review please click here.